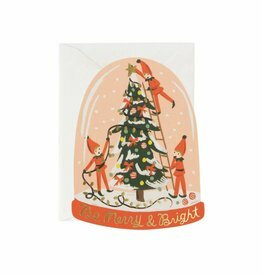 Wishing you a white Christmas and a happy New Year! 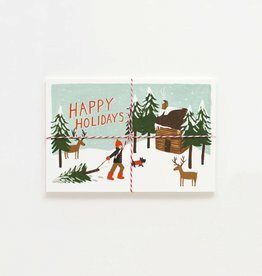 All of these illustrations are carefully painted by hand and printed locally in the Midwest, USA. 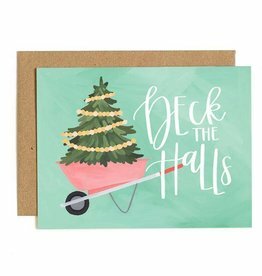 Wheel in the festive spirit and deck those halls with holiday cheer! 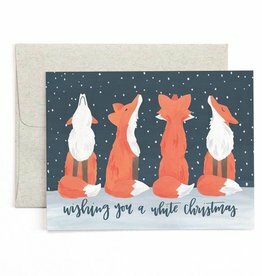 All of these illustrations are carefully painted by hand and printed locally in the Midwest, USA. 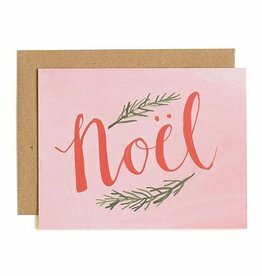 Sweet and simple, this holiday card is decorated with original, hand-drawn typography and illustrations. 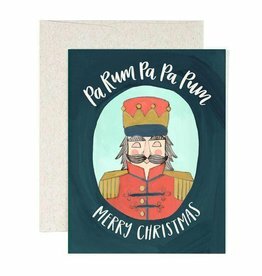 Spread the festive spirit for all to hear, pa rum pa pa pum! 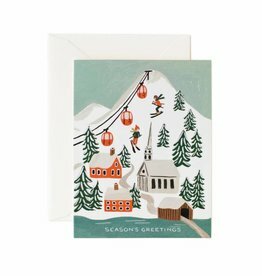 These illustrations are carefully painted by hand and printed locally in the Midwest, USA. 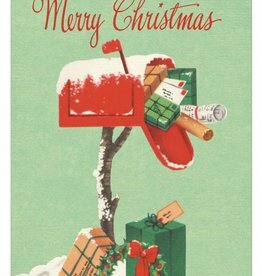 Wishing you and yours a Merry Christmas! 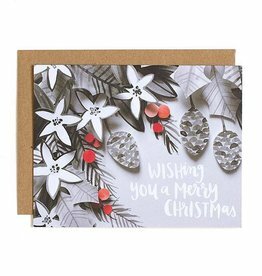 Black and white mistletoe, adorned by cheerful red holly berries, send this elegant card to all this holiday season. 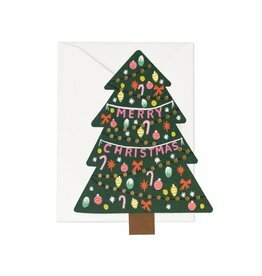 These illustrations are carefully painted by hand and printed locally in the Midwest, USA. 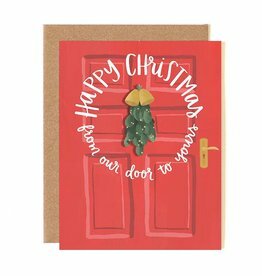 Happy Christmas, from our door to yours. 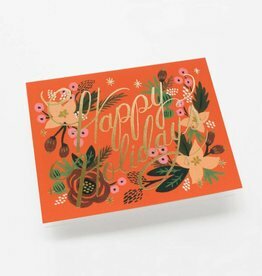 Haul in some happy this holiday in true country style! 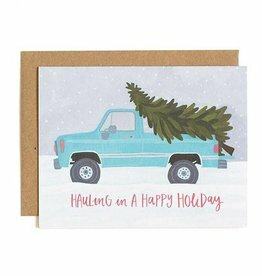 Haul in some happy this holiday in true country style! 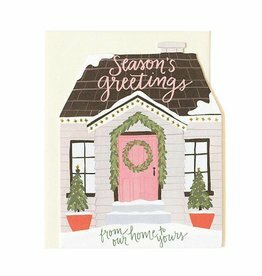 This hand-painted illustration was printed locally in the Midwest, USA. 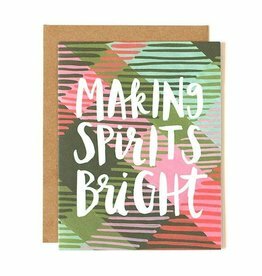 Featuring a cheerful plaid pattern, this holiday card is perfect for making spirits bright! Heaven and nature sing in this beautiful silhouette. Heaven and nature sing in this beautiful silhouette. 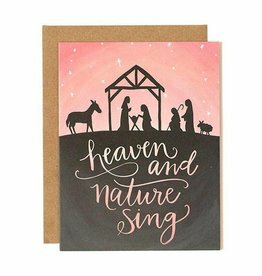 Celebrate and share the real reason for the season. These hand-painted illustrations are printed locally in the Midwest, USA. 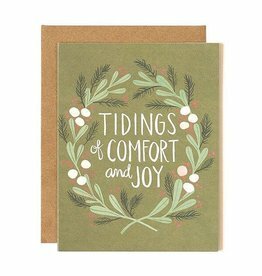 We wish you tidings of comfort and joy this holiday season. 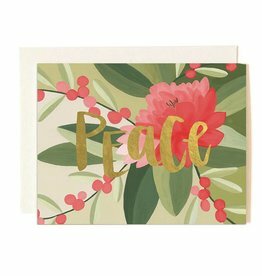 Wishing you peace in this season of life. 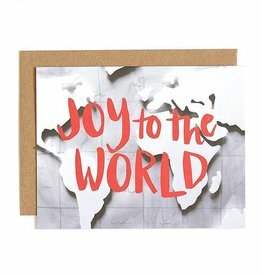 Our Holiday Postcards are a great way to send several cards at once. Requires less postage than a standard card in the United States. Package of 10. 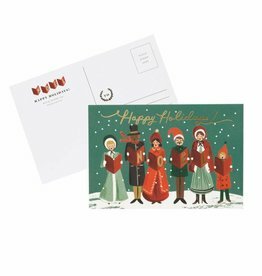 These Rifle Carolers Christmas postcards are a great way to send several cards at once. Requires less postage than a standard card in the United States. 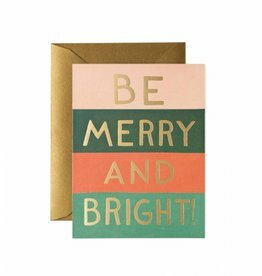 Our festive Poinsettia Holiday greeting card features gold foil.